With prepaid cards becoming increasingly popular, many people are closing their checking account. Today’s culture had glorified the idea of carrying “wads” of cash. Having a wallet full of cash is a great feeling – yes – but the risk of appealing “cool” is simply not worth putting your hard earned assets at risk. Having a lot of cash on hands simply enables you to spend it more – a horrible path to choose especially if saving is your priority. This goes double for people who are known for instinctively making unnecessary purchases. Here are 5 reasons you should not close your checking accounts – and in fact use it to its full potential. One of the best parts about having a checking account is that you never have to worry about your money getting stolen – or losing it. All banks take drastic measures to ensure your money is protected from any fraudulent activity; if your information was to get stolen, they block all activities immediately and even return the money if any transactions were made by an unauthorized person – a guarantee that you cannot have if you solely rely on cash. Free checking accounts may not exist in today’s world, but there are ways to get around paying such fees. Maintaining a balance, making direct deposits, and linking and/ or signing on to other non-checking accounts (like CD, savings) are some of the most common ways you can avoid having to pay fees on a checking account – these are healthy life choices one should strive to make regardless. Ironically, many people choose to get prepaid cards to avoid fees on checking accounts when prepaid cards are actually fees galore. You must familiarize yourself with the types of fees that you may be getting hit with if you are relying on a prepaid card. Not all prepaid cards are the same and every brand has their own way of getting money from you – some charge initial setup fees while others for something as simple as ATM transactions and even checking your balance; prepaid cards are definitely a healthier option than carrying too much cash – but don’t get penalized over fees – fees is how the distributers make money on this service. Any one that is interested in proper budgeting knows how important it is to keep track of statements; one definitely does not keep a log book in this day and age to stay on top of expenses made using cash. A trail on your checking account can be easily monitored via paper and/or online statements. Many prepaid card companies are offering statements, however most of them charge a fee for this service. This is especially bad if you need to consistently monitor your activity. The worse is that many prepaid cards don’t come this service – this is especially bad if you are trying to appear creditworthy. Think about it, why would a bank trust you if you can’t prove you are good with handling money? So pick your card wisely, or make life easier and just go with a checking account. Consistently spending money on money orders is not the way to go if controlling unnecessary spending is your goal. Depending on the type of checking account you get (and of course the bank you sign up with), you can get access to check books – which will be cheaper for the amount and perhaps even free. Also, money orders have a $1000 limit whereas checks face no such restrictions. Having a checking account makes it extremely easy for the user to transfer money to other’s accounts and paying bills. Money orders are your only go to thing if you rely solely on cash – and we know that means spending more money than one needs to – and of course utilizing time. Having an app like Mint and Mint Bills enables you to link up your bank accounts with the utility services which means paying bills (having a control over your entire financial activity) is just a matter of a few clicks. Don’t get us wrong, prepaid cards do have their place – that is if you cannot qualify for a credit card. Other than that, you simply do not need one nor should it be your preference. The insane amounts of fees put on these cards itself should make idea of having a prepaid card unappealing and not “dealing with a bank” should not be a reason why you don’t want to get a checking account. Similarly, having cash on you is important also – however relying on your mattress to keep it secure or carrying large sums is just not the best way to handle it; carry enough where you won’t hate your life in case you were to lose it all. 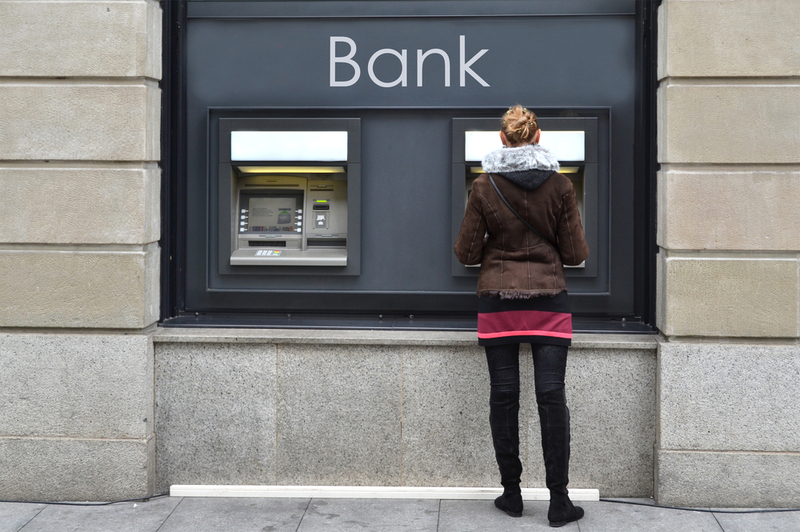 Having a checking account (especially from a young age) allows you to grow a relationship with the bank which can lead sweet perks down the road. Doing the research to start this relationship with the right bank will pay off.